Some laptop users get disappointed because of the laptop battery is discharging quickly while using laptop without having AC power. 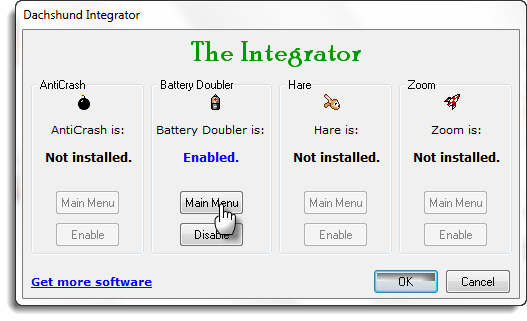 Now there is a software for saving your laptop battery power up to 10%, this application called Battery Doubler. 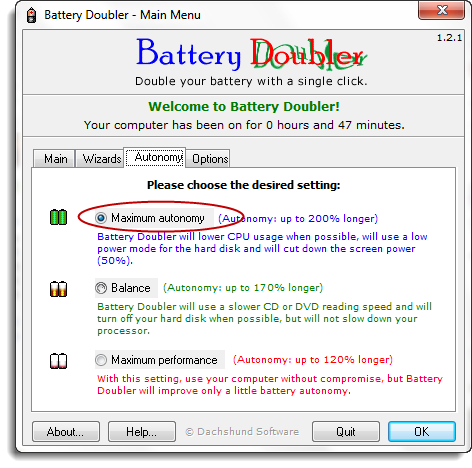 Normally, Battery Doubler doesn't use standard techniques such as Lowering the CD quality, dim screen light etc. However, Battery Doubler determine what to shut down when it is not needed like Wireless application, USB port etc. 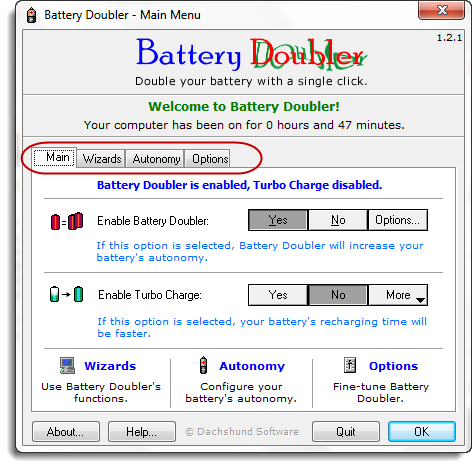 Battery Doubler works on all windows operating systems but it works best with Windows 98 & ME. Simply download the application and install it to the laptop then it will show on the taskbar. Hence, click on the Battery Doubler icon in the taskbar. Choose Main Menu and it will open the Main Menu of the application. By default, Turbo charge mode is disabled so you can enable it when you need to recharge the battery quickly. It recharge the battery more faster than normal. You can also calibrate the battery using Battery Doubler. 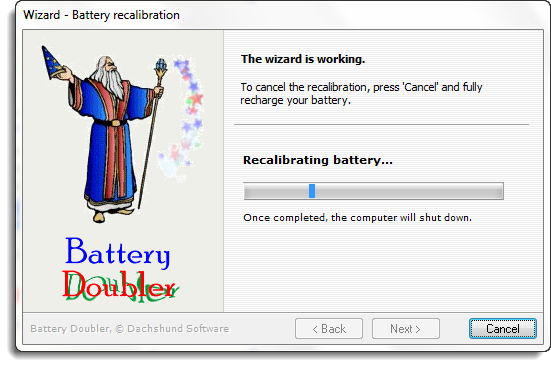 Click wizards tab on the Main Menu and then click on Recalibrate Battery. In the Autonomy Tab, you can choose Maximum autonomy option which will lower CPU usage when possible.